Expert care for your ear, nose & throat. Full range of ENT wellness services, covering pediatric & adult care. 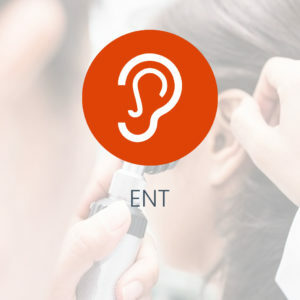 Our comprehensive Ear, Nose & Throat wellness department provides services by a top-ranked specialist, who treats all aspects of ENT conditions. Taking time to know the concern and an evidence-based approach, we create treatment plans tailored to each patient’s needs and concerns. Our medical treatment spans from nonsurgical to minimally invasive surgical care, as well as more advanced surgical issues, if necessary. Conditions treated include acute and chronic ear infections, tonsils, adenoids, allergies, hearing loss and sleep apnea as well as voice, sleep and swallowing disorders. Also treated are more complex ailments, such as acoustic neuromas, cranial (skull) base tumors, facial trauma, cochlear implants or benign and malignant tumors of the head and neck. A state of the art medical facility, providing high quality health care at cost effective prices. Zia Medical Center is an institute of excellence providing a unique patient centred solution for all outpatient medical care. Copyright 2019 © Zia Medical Center. All rights reserved. All right reserved.